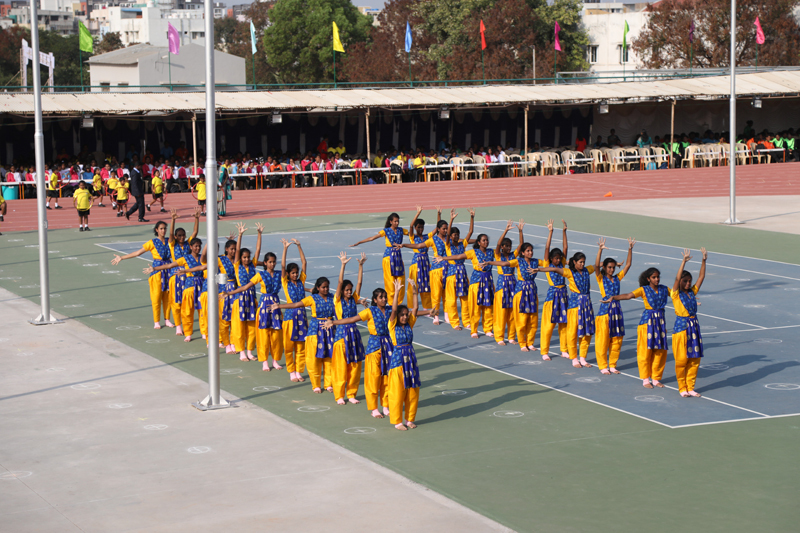 Suguna PIP School (SPIPS) celebrated Sports Day on Saturday, 26th January 2019 with a lot of zeal and excitement. The crisply dressed school band welcomed the Chief Guest of the evening, Commodore Rajiv Choudhry, Commanding Officer, INS Agrani. The event was presided by Chairman, Shri. Lakshmi Narayanaswamy, President, Srimathi Suguna, members of the board, Director, Dr V. Sekar and Principal, Mr. M. Poovannan. 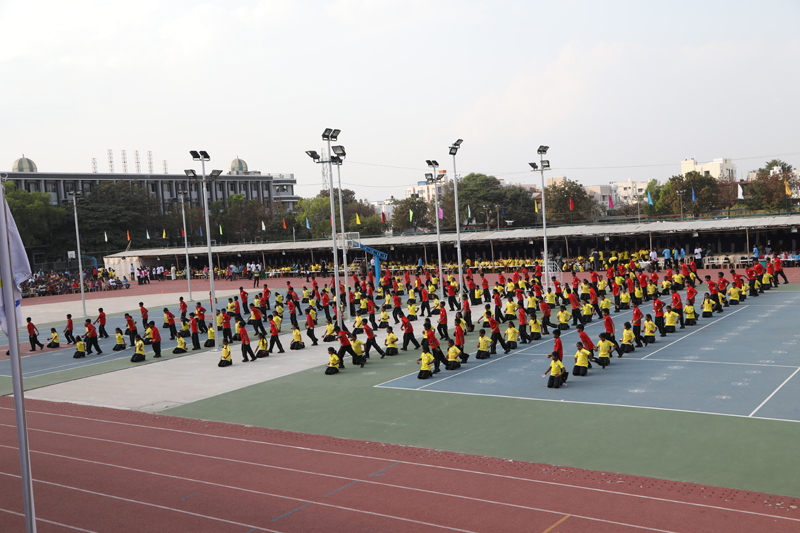 The programme commenced with the auspicious rendering of school prayer song followed by the Tamil Thai Vazhthu. The Sports Secretary welcomed the Chief Guest and other dignitaries and invitees. 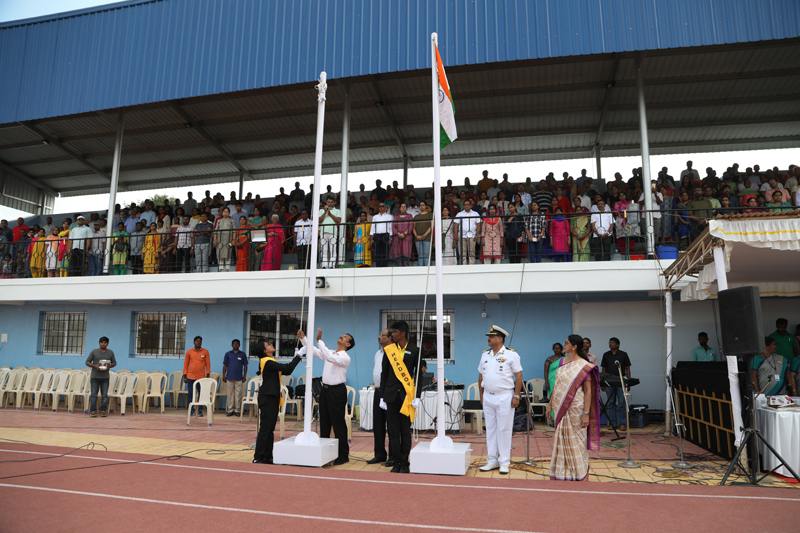 The celebrations began with the hoisting of the national flag followed by the school flag. 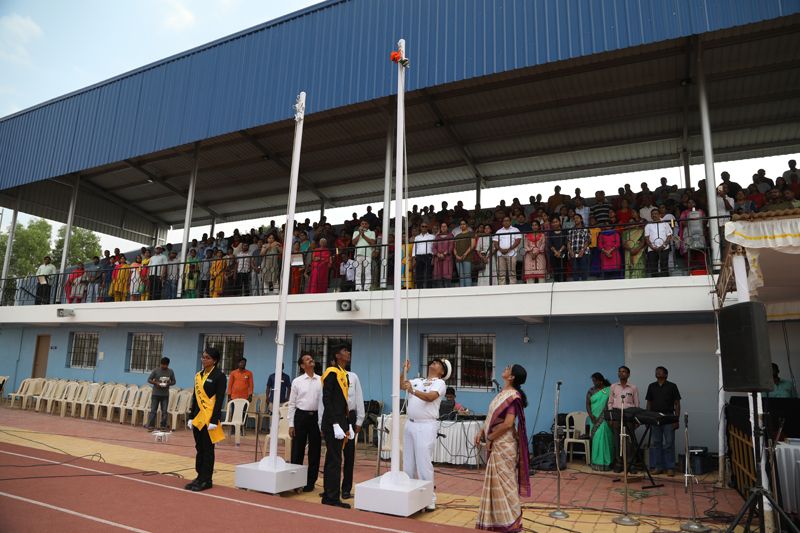 The Chief Guest took the salute of the school band as they marched forward, steps matching the beat of the drums, followed by the proud flag bearers, members of the different school houses - Aqua, Ignis, Terra and Ventus as they marched smartly, in their house colours. 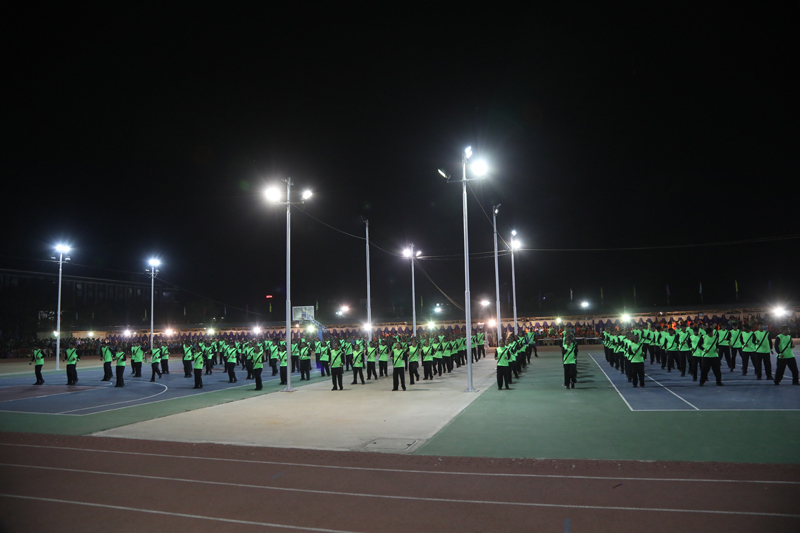 This was followed by lighting of the sports torch, by sports stars of the school. 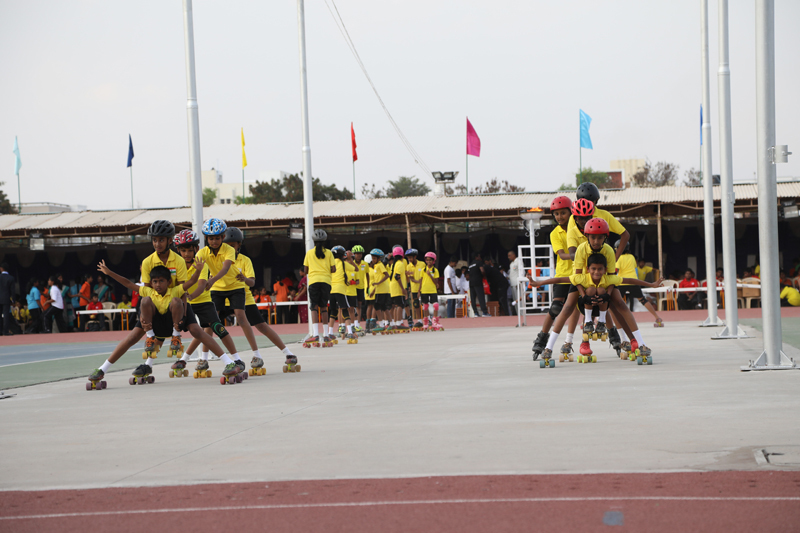 Once the oath was administered and taken by school leaders and sports captains, the meet was declared open by the Chief Guest. 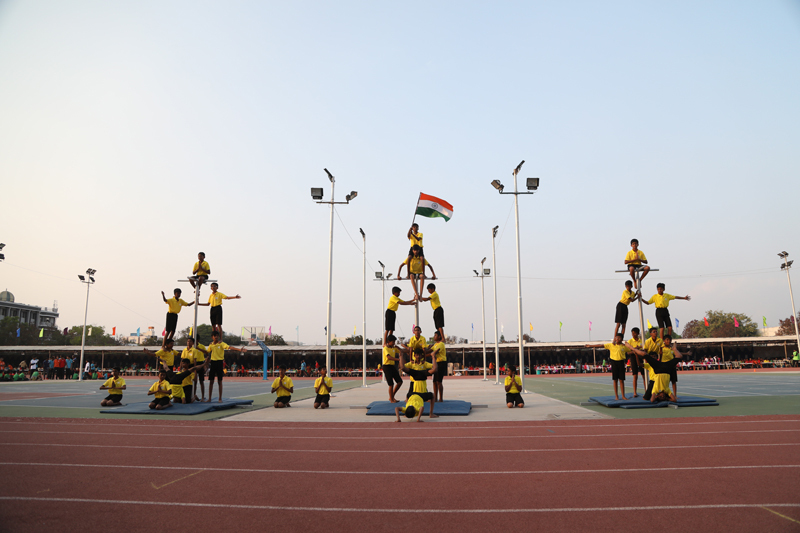 The students displayed an array of colourful events mesmerising the audience with their energetic performance. 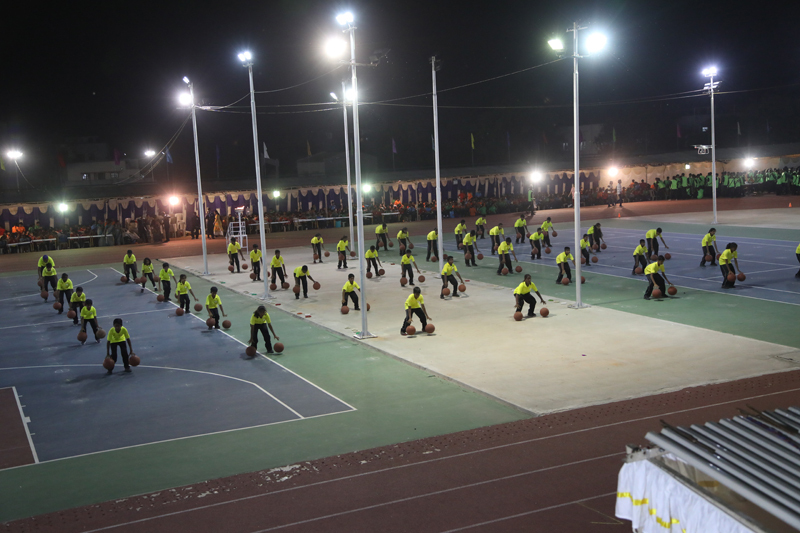 Display of Chairobics, Natyobics, Zumba, Coconut shell drill, basketball drill, yoga, karate, etc., kept the audience riveted. 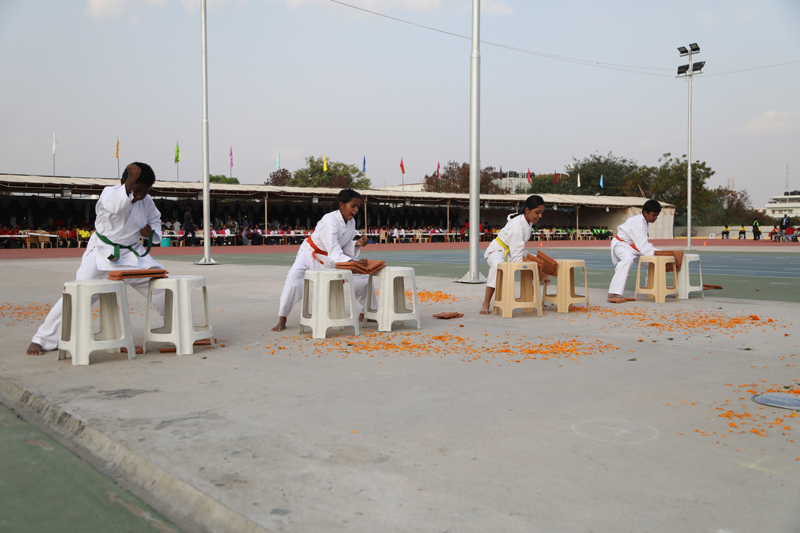 The Annual Sports Day saw participation of students in a range of field and track events which included relay races and hurdles for senior students. 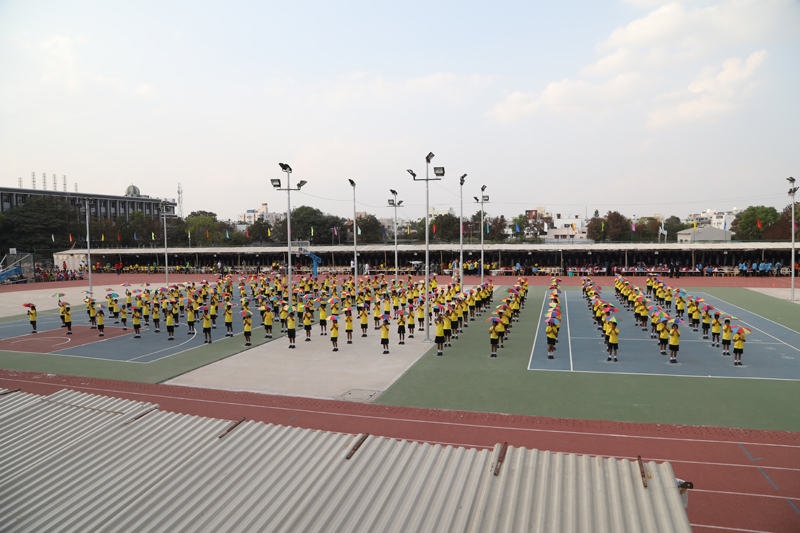 Even Kindergarten children participated in a 30 mts sprint and obstacle race, evoking smiles. 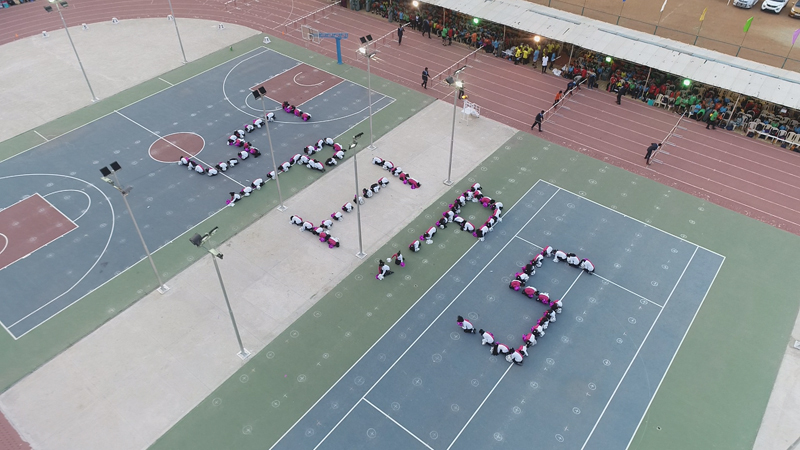 The program saw participation of all students and the performances were well received by the audience with much enthusiasm and applause. 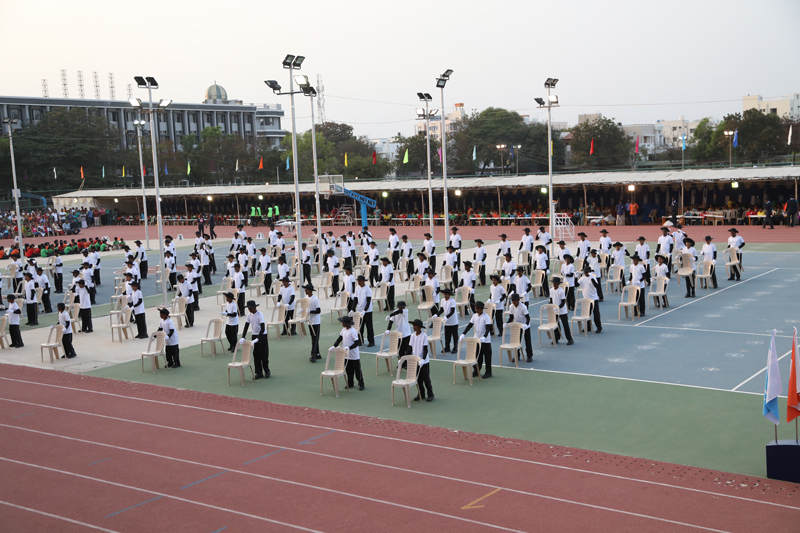 The chief guest in his address applauded the efforts of the management, staff and students for the magnificent show. He emphasised on the importance of extracurricular activities in the holistic development of a child and stressed on the fact that sports helps build self esteem and confidence in students, right from their young age. The program came to an end with the Sports Joint Secretary proposing the Vote of Thanks.